The special lady in your life will adore these personalized etched glass jewelry boxes. 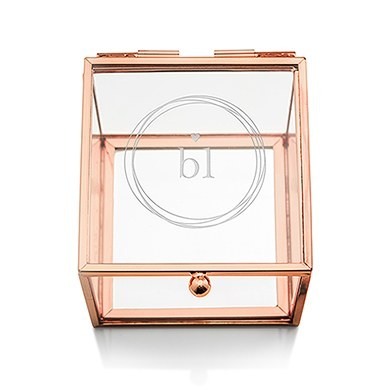 With rose gold edges, a hinged lid, a mirrored bottom, and her personalization, this is one gift she'll love to store in favorite jewels and trinkets in. Makes a great gift for birthdays, graduation or Valentine's!